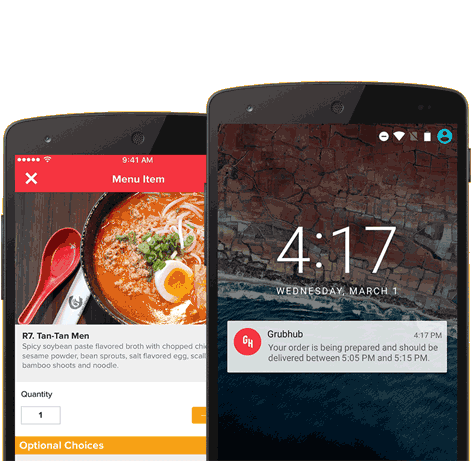 Track your order and keep in the know about your delivery with push notifications. Got a go-to Pad Thai that’s never let you down? You can find previous meals quickly with your order history, and reorder favorites in as little as two taps with Express Reorder. Place your order from two hours to four days in advance for food delivered right when you know you’ll need it. We accept Apple Pay, Android Pay, PayPal, eGift and credit cards, or good old-fashioned cash. What works best for you, works great for us.